Great book! I would recommend it to anyone who is a fan of The Hunger Games and The Maze Runner. A criticism of the book however would be the simple fact that it is a dystopian novel and nowadays they all seem the same, and lack creativity. 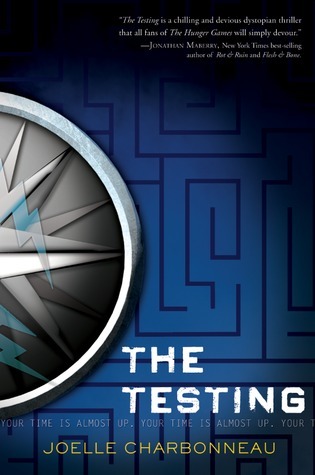 The testing itself relates to Divergent, Maze runner and The Hunger Games. A love interest? Obviously! It is a little to obvious and cliché in some aspects. It is easy to fall in love with the characters, therefore it is a good read and does keep you at the edge of your seat purely for that reason, for the safety of the characters. The main Characters Cia (Malencia) and Thomas are pleasant but not very interesting. They seem almost too perfect, which can sometimes cause a bit of irritation, as the story becomes predictable.